Are you looking to hire a wordpress web design company to create your new website, but are unsure of what content management system (CMS) to use? Do you require open source technology that is extremely flexible and reliable? Would you like to develop a brand new, modern and professional website that won’t cost the earth? Does your new site need to be search engine friendly right out of the box? SeoGuru offer fully featured websites developed using the latest WordPress plugins . No longer just a blogging platform, WordPress has evolved into a versatile and powerful content management system enabling the creation of feature-rich websites and mobile applications. WP is an Open Source software meaning knowledgeable developers can use and modify it as they wish. An estimated 30% of all websites worldwide are powered by WordPress, this offers developers and website owners simple to use admin control, enabling easy to use access to all areas of the website . If you or your business are in need of a WordPress developer to create a robust website, or perhaps you need to hire a developer for a custom piece of programming, then our staff are available to help! Why Hire a Wordpress Web Developer? 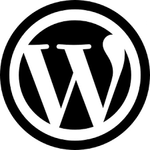 The Open Source structure and flexibility of WordPress makes it very attractive. A developer can easily design and create any kind of website whether it is a personal blog or a fully featured e-commerce website. Wordpress has extensive features allowing access to thousands of both FREE and paid plugins and themes to customise any site seamlessly. WordPress easily integrates with many of the most popular applications across the web to create a powerful solution for any type of business. Whether it’s a popular payment gateway, through to an automated email marketing solution, WordPress can manage it. WordPress websites are written using code that is easy to read and very attractive to search engines. WordPress is constantly updated to prevent security breaches and was developed with security in mind. Does not require you to front up with an ongoing license fee or to purchase expensive software. The knock on effect is that Word Press websites generally offer better value for money than many other custom web development options. With over a decade of experience in creating stunning, fully functional websites, SEOGuru provides seo friendly website design and development services for scores of satisfied customers throughout London and the UK. Our developers provide web services that are tailored to a customers individual requirements, no matter how large or small. We pride ourselves in delivering contemporary, user-friendly, feature-rich websites and web applications alongside fulfilling all customer requirements.